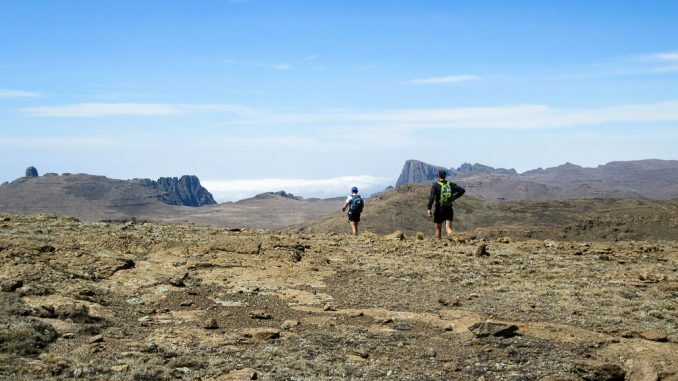 The Northern High Traverse is probably the most widely known route in the Drakensberg Mountains. 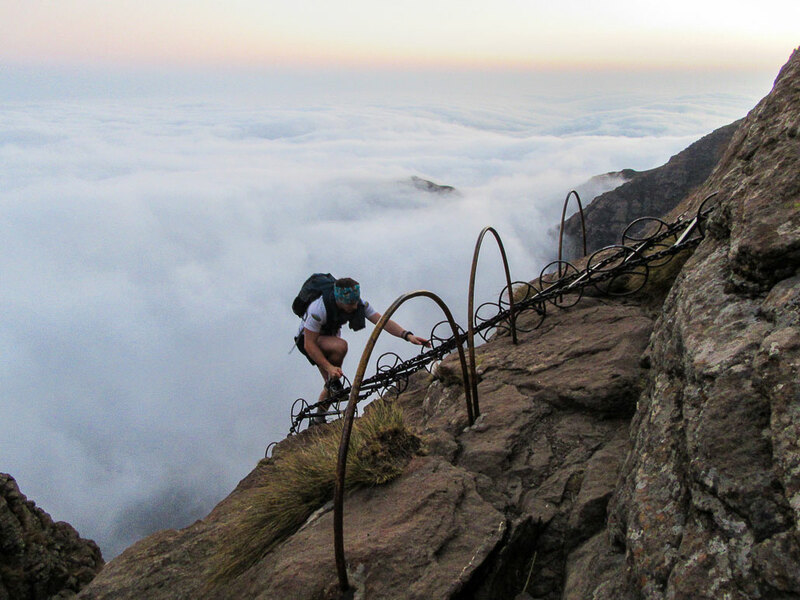 For that matter, it is probably the only multi-day hiking route in South Africa to appear on various lists of the best hikes in the world, with Walkopedia rating it the 7th best globally. 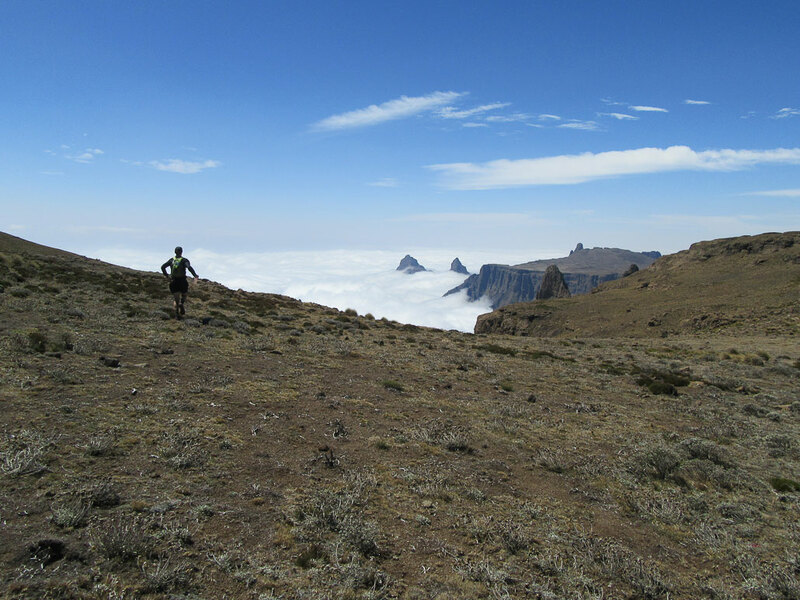 I am not a fan of lists, and can think of at least 7 loops in the Drakensberg alone that beat this one, but nonetheless, it is a worthwhile route. 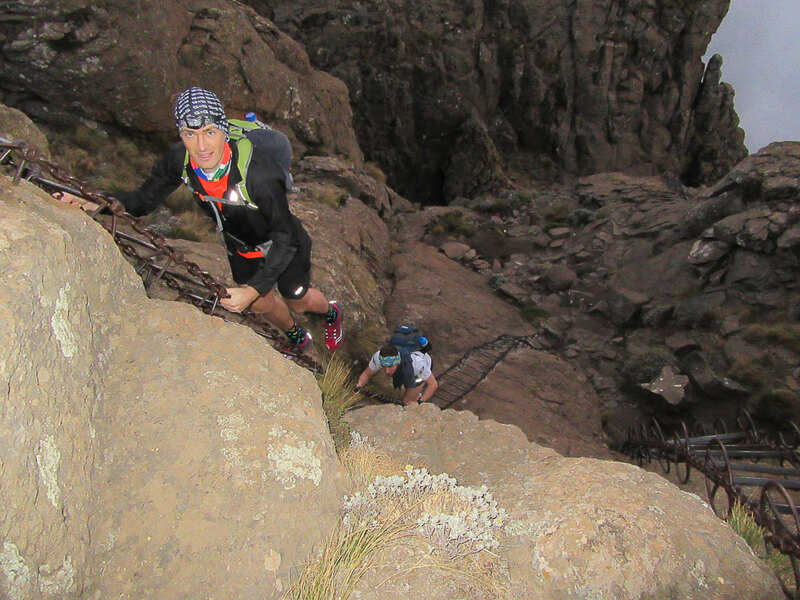 Especially for those who can’t complete a full traverse – be it due to time, fitness or financial constraints. Our group of five gradually diminished, giving us a group of three chartered accountants. I guess certain puns may be in order, but let’s not go there – this was going to be a taxing route, after all. 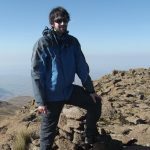 Having not been to the top of the Drakensberg in a few months, I was concerned about how I would cope, but seeing as the others hadn’t been to the top of the Drakensberg in months/years – I guess I wasn’t particularly worried. 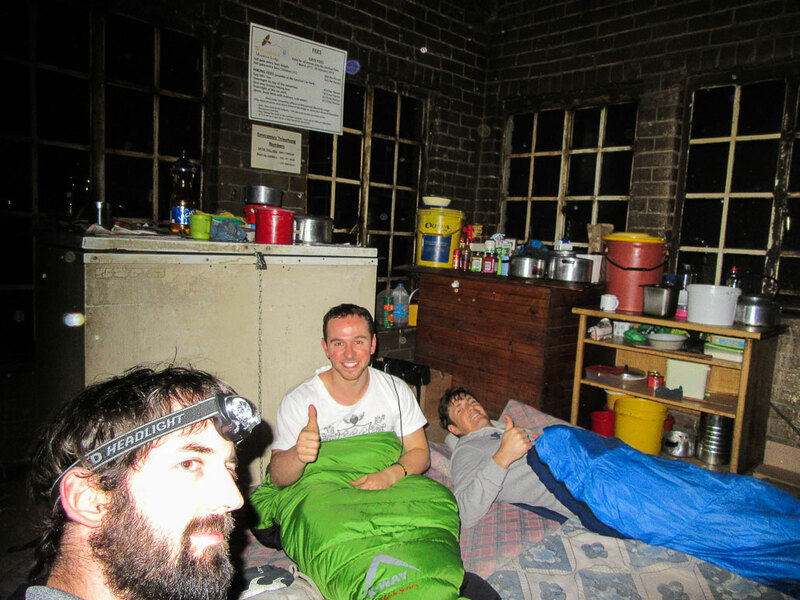 When we reached Sentinel Car Park, we found the hut was already occupied, but they made a plan – after mopping the floor, we were in our sleeping bags on very thin mattresses in the hut offices. At 4AM we were up, and by 4:30, we were walking. We could see stars in the sky, despite being in a bit of mist. 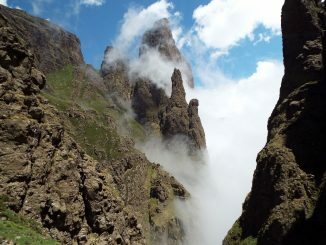 This was good news – mist at 2500m meant we should have perfect weather on top. 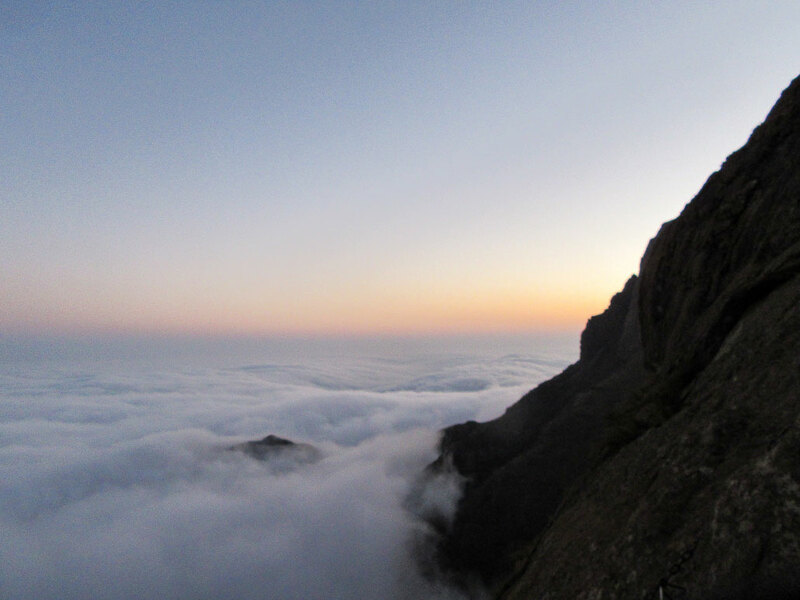 The zig-zags went off easily enough and the high trail was in good shape, meaning that we found ourselves on top of the Chain Ladders before sunrise. 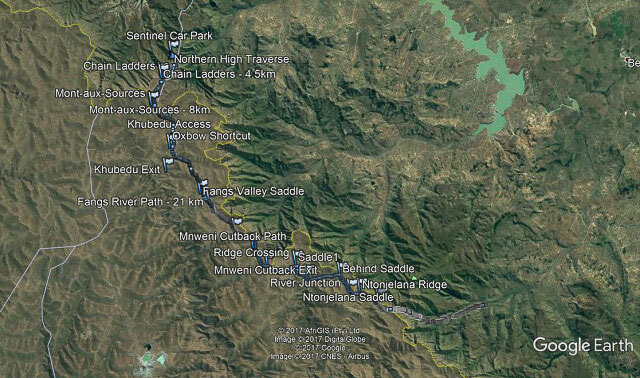 The slog up to Mont-Aux-Sources doesn’t seem so bad when your pack is 4kg and you are fresh. We reached the summit of Mont-Aux-Sources in good time, 20 minutes ahead of schedule. 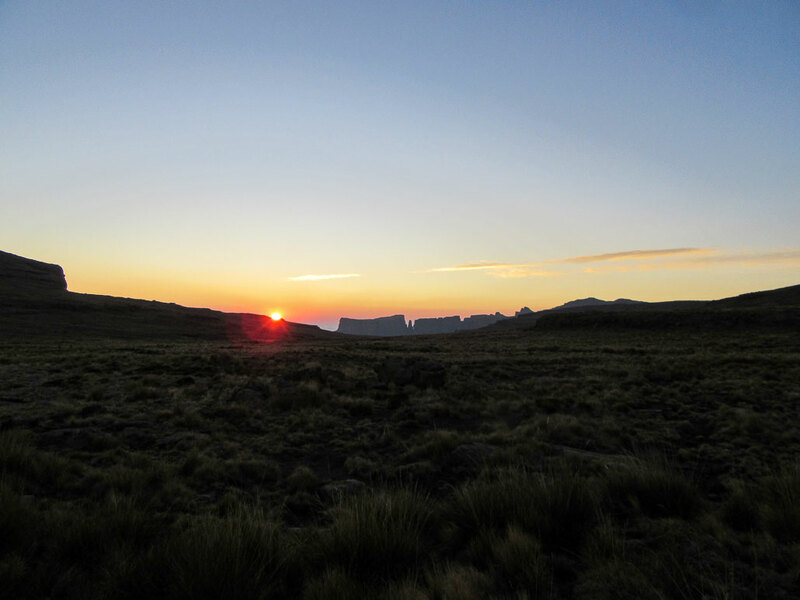 The sun was up by now, and after a quick summit shot, we began the descent to the Kubedu. 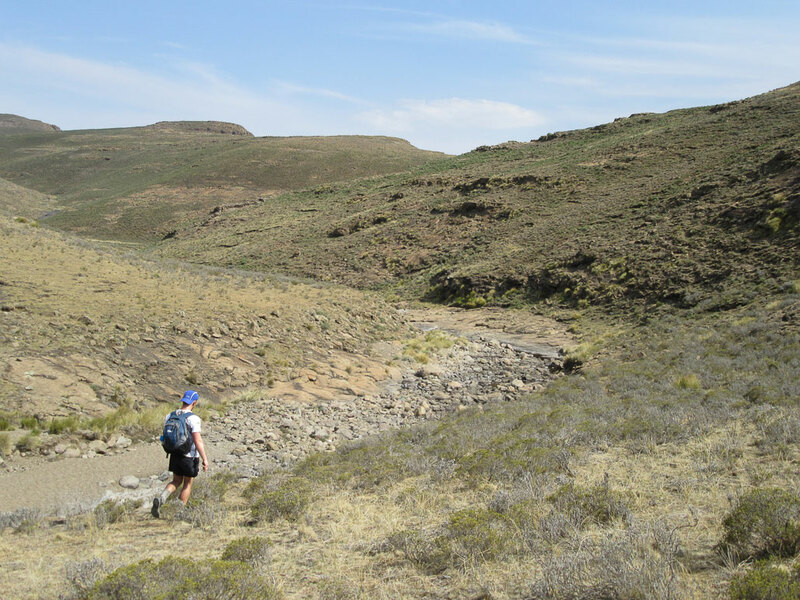 The slog up the easiest hill of the day – the Stimela Ridge – was where I started to wonder if I was fit enough. The hill is sustained, but gentle. We stopped for a break near the top – our first break of the day – as I was feeling nauseous. Soon we were off again and made our way over the long summit ridge to drop down towards the river behind Fangs Pass. By now my energy levels were gone. I had to stop a few times on the way up to the Mnweni Cutback Highway. We took 2 short breaks on the highway at great view spots – by this point our target time was out the window. I had hoped to run the highway, but now I was barely managing 4km/h. We dropped down on the east side of the ridge a bit prematurely, resulting in some extra distance and vertical, before the big drop to the Senqu River. 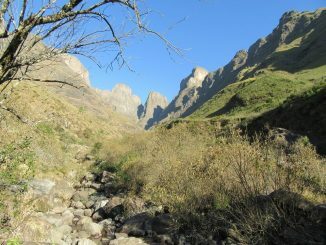 We followed the Nguza River trail till the junction that leads to the Ntonjelana Saddle. I didn’t cope with this ridge at all, taking an age to get up it. We found the harder Ntonjelana Gap easily enough and were soon walking past Ntonjelana Pass – but with it getting dark, finding Mlambonja Pass was going to be tricky. 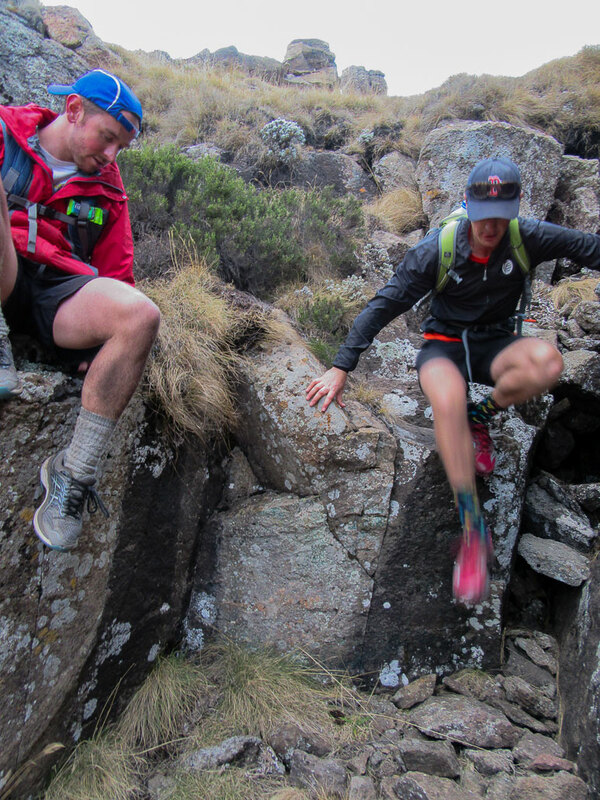 We ended up using headlamps to find the gully below Twins Top, and dropped straight down to the Twins/Mlambonja trail. The top of the trail is in really bad condition and the fact that it was recently burned is not helping. We somehow managed to follow the trail fairly well, only occasionally losing it. Probably not the most enjoyable pass to descend at night – but not much we could do about it at this stage. The bottom of the pass was badly overgrown, and the combination of sunburn and shorts made for a miserable time. After losing close to an hour to overgrowth, we hit the contour path and were soon climbing again. 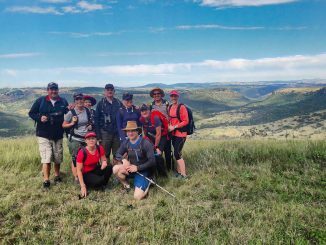 The final section went off without a hitch, even though we all struggled to stay awake after 20 hours of hiking! Finally, at 1:00 AM, we reached the hotel, giving us a nice round time of 20h30 for the 65km course. Not very fast by any means, but not terrible. Since Didima Camp is closed, we spent the night at Amphitheatre Backpackers, arriving there at 3AM. 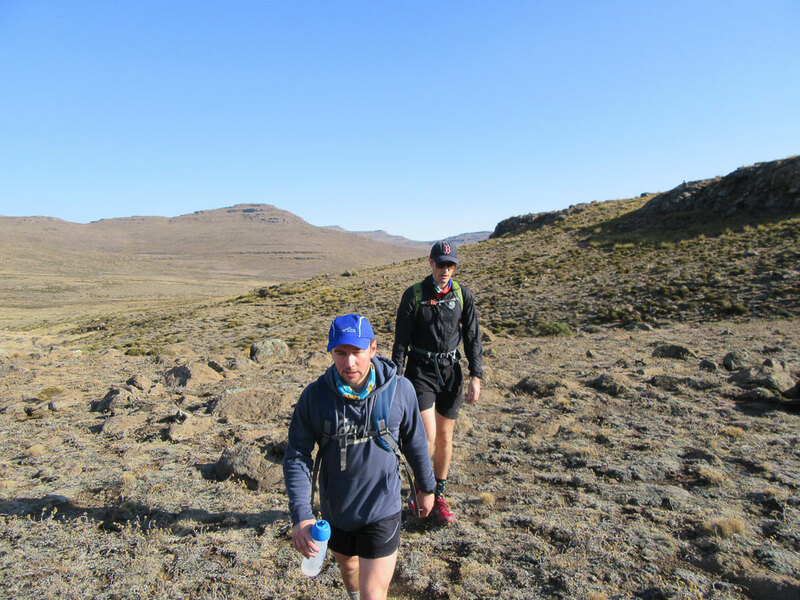 On a side note – we didn’t see anyone else on the entire route, with the exception of a large team camping near the top of Mnweni Pass. We barely even saw livestock, with only a few horses around the Cutback Highway, and some sheep and goats near Fangs Pass. This might have something to do with the higher police presence in the area, but it is most likely a result of the lack of water in the rivers. Anything involving speed should not involve Mlambonja Pass! Bell Traverse would have been a faster option, even though it is longer and includes more vertical (although the prospect of Buggers Gully in the dark is frightening). Logistics on this route are tricky – try to find a designated driver to move cars rather than a two-car system. The Northern High Traverse via a speed grand traverse line is not particularly interesting, a speed hike traverse of an area like Didima would make for similar difficulty, but would be logistically easier and more scenic.